Zurich Worldtimer "True Blue Baby I Love You"
The NOMOS Glashütte Zurich Worldtimer true blue is an update to the popular Zürich Weltzei. 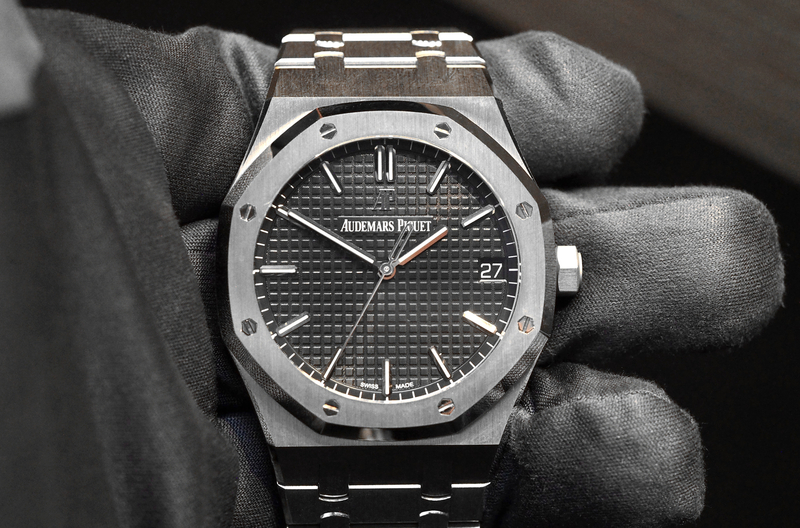 Apart from the slightly modified movement and white dial, it’s the same watch. The true blue version, which debuted in 2014, comes with a beautiful galvanized blue dial with rhodium-plated, faceted hands that create the perfect contrast against the dark vibrant background. 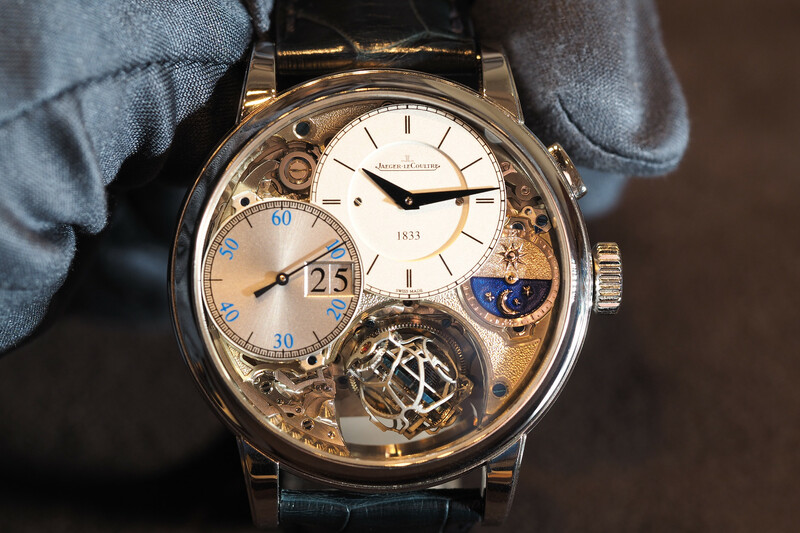 As far as the movement, it’s the same Xi caliber from the Zürich Weltzeit but now with the new NOMOS swing system which consists of an all-new in-house made regulating assortment including the escape wheel, pallets, pallet fork, banking pins, impulse jewel, impulse roller, balance wheel, balance staff and hairspring (Editor’s note: the spring is made in Germany by a NOMOS partner). The upgraded movement, currently only available in the blue Worldtimer, is called caliber DUW 5201. NOMOS Caliber 5201 beats at a frequency of 4Hz (28,800 vph), has 26 jewels and a power reserve of 42-hours. It features a Glashütte three-quarter plate, Glashütte stopwork, bi-directional winding rotor, Incabloc shock protection, NOMOS swing system with tempered blue balance spring, six position adjustment, tempered blue screws, rhodium-plated movement surfaces with Glashütte ribbing and NOMOS perlage, ratchet and duplex wheel with Glashütte sunburst decoration. 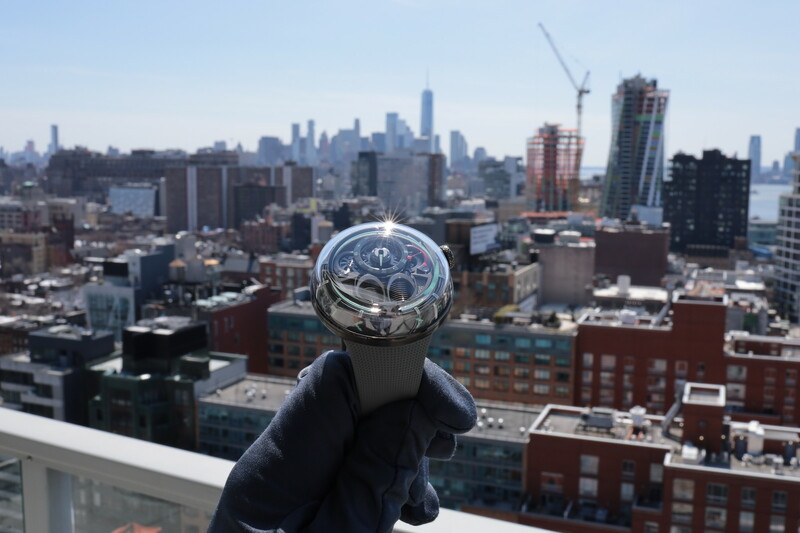 Functions include central hour hand controlled by world time mechanism and city ring,24-hour home time disc, minutes, small seconds and stop seconds. To set the hours, minutes and seconds to for the home time, you pull the crown out turn the crown clockwise or counterclockwise to set the 24-hour indication at 3 o’clock will, representing the home time, as well as the minutes and small seconds. Then, all you have to do is push the button on the case flank at 2 o’clock to advance the main central hour hand (in 1-hour jumps), based on the city/time zone you want by aligning the city in the 24-time zone ring with the arrow at 12 o’clock. So if you change time zones, you don’t even have to take the watch off. 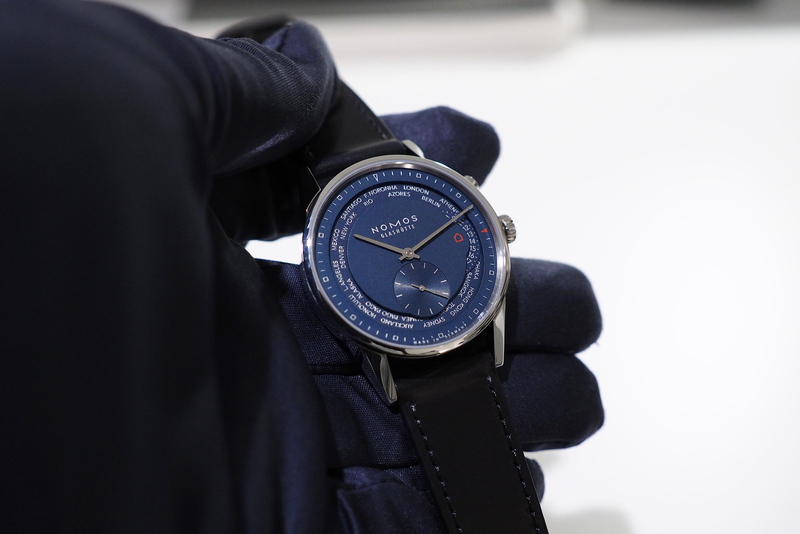 The Zurich Worldtimer NOMOS Glashütte true blue is 30 meters water resistant and comes with a Horween Genuine Shell Cordovan black strap with 20 mm lug width. The case is 39.9 mm in diameter by 10.85 mm thick. The front sapphire crystal is slightly domed, with a flat crystal on the back. (Ref. 807) The retail price is $6,100. When the Zürich Weltzeit (Worldtimer) was originally launched, with a white dial, it has received lots of praise, and rightfully so as the functionality and ease of use is hard to beat. All packed in relatively thin, small diameter case that wears great. Now, the watchmakers in Glashutte have built on that success and made the same watch, with a gorgeous electric blue-colored dial, and added the new NOMOS swing system to boot. True blue baby I love you. Next articleA. Lange & SöhneConcorso d’Eleganza Lange "Como Edition"